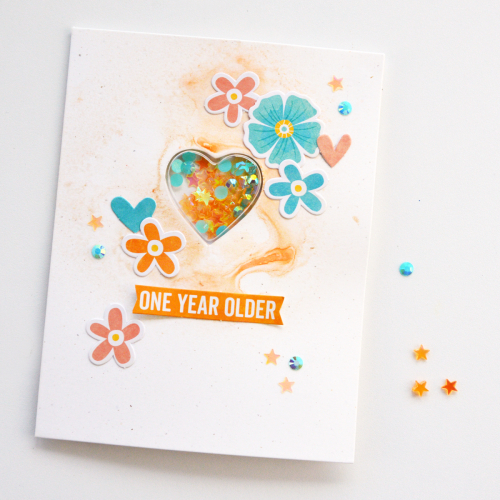 There is cause for celebration today because I get to share a simple die cut card with you. This card uses two different Jillibean soup stamp sets and a silhouette cut file. 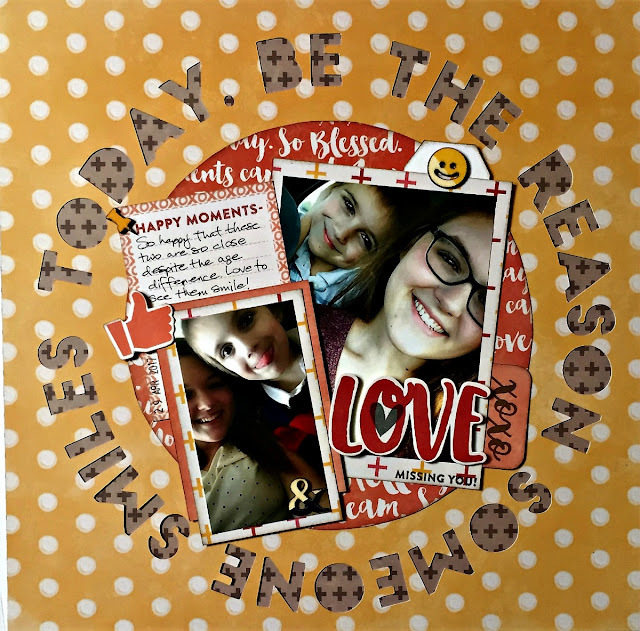 Did you know that Jillibean Soup has lots and lots of cut files available on the Silhouette website? 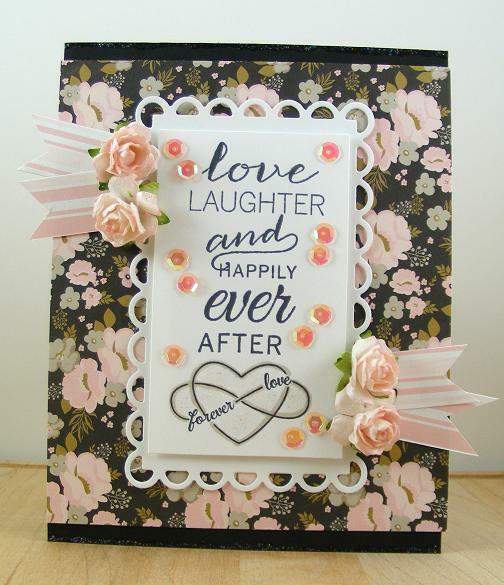 The cut file I used is available on Silhouette website under Jillibean Soup/Today. I enlarged it a bit and cut it out using woodgrain paper. 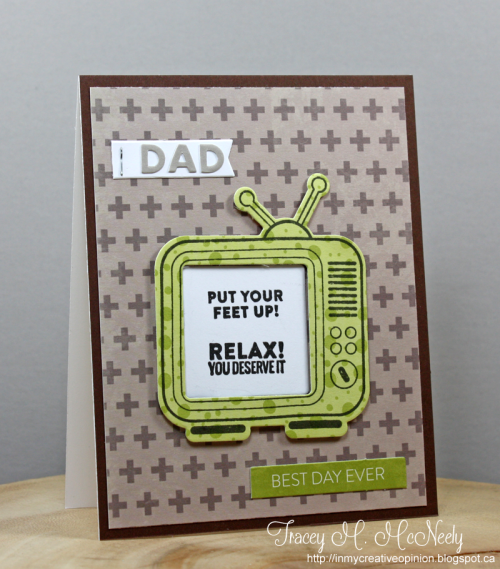 Then I stamped a background panel in rose and yellow using the Bowl of Dreams stamp set. 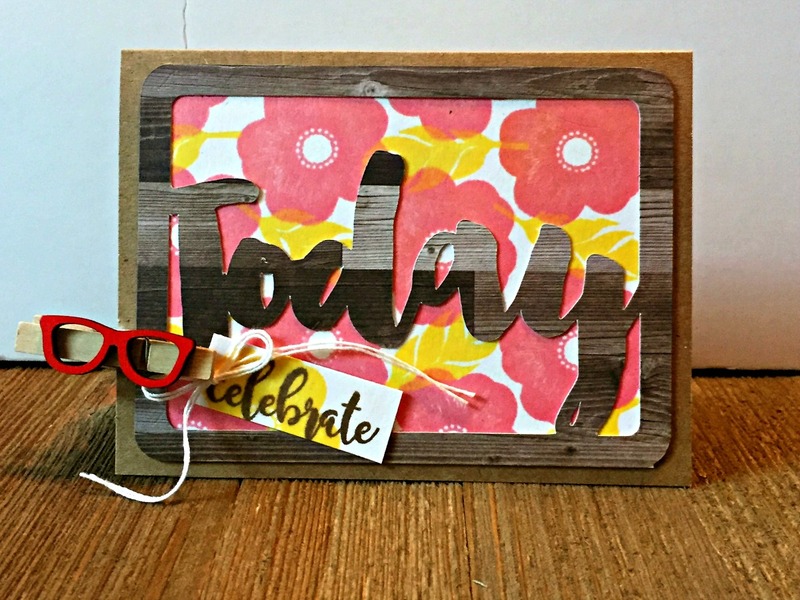 Next I stamped a yellow flower onto small rectangle and added the Celebrate sentiment in brown ink as shown. 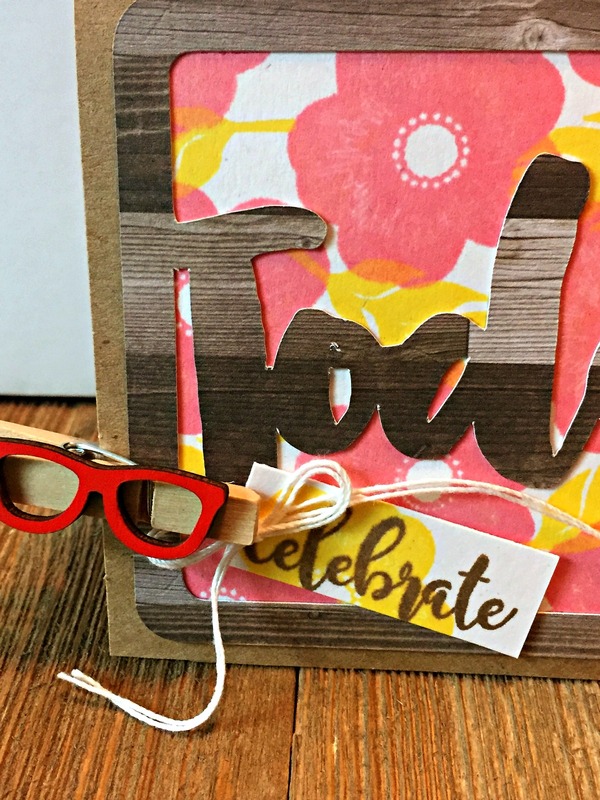 I attached them to the card with the fun glasses wood clothespin. Last I added the cotton twine double bow. 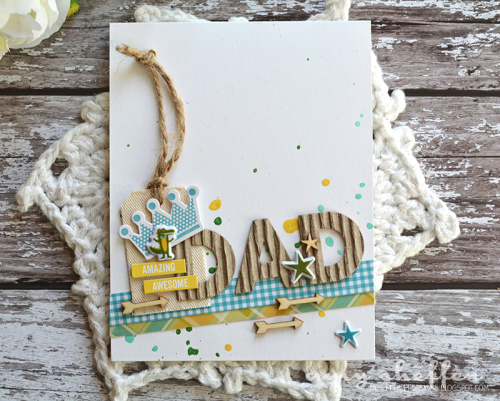 This card would work for any type of celebration and would be easy to switch to a masculine card by using the feather stamps in this same set and stamp in blue and green inks. Donuts anyone? Here is a card full of them, brought to you by a Jillibean Soup stamp set and papers. 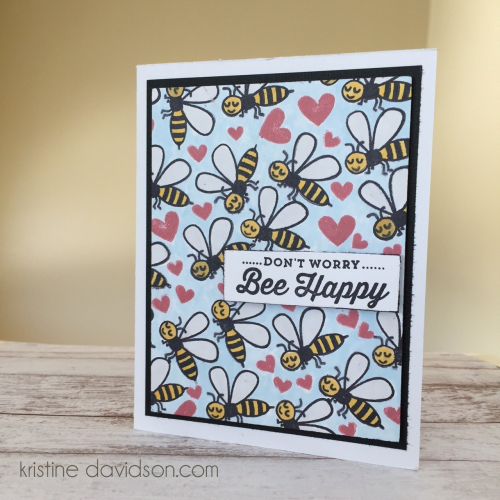 The white base started with two paper mats, one in blue gingham and one in yellow stars to mimic the star die cut to be used with sentiment. 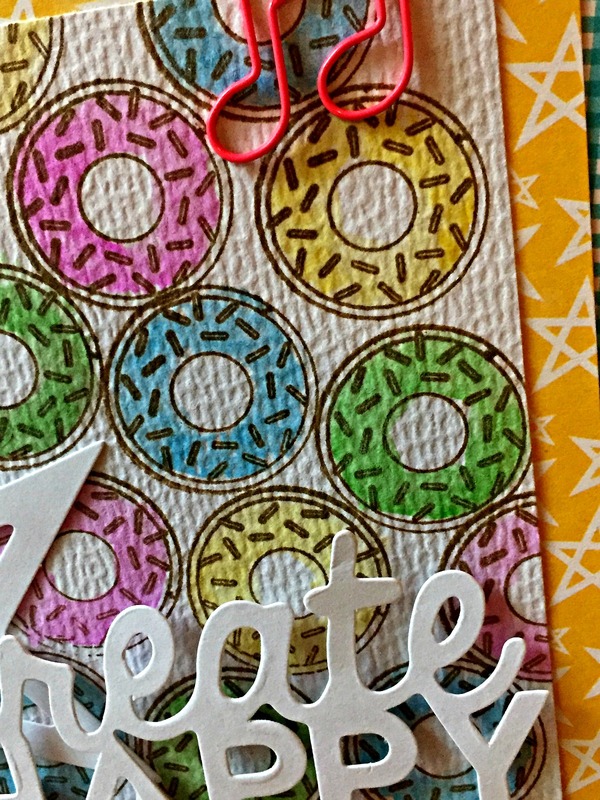 Then the donuts were stamped in brown ink onto watercolor paper. Once the ink was dry I painted each don’t a bright color. Then I adhered the donut panel to the yellow mat as shown. 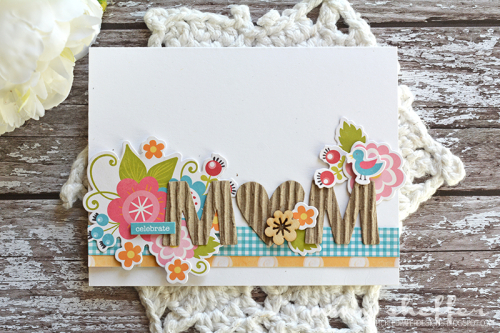 Next I pulled the sentiment and star from a mini placemat set. Last I added a music note paperclip. 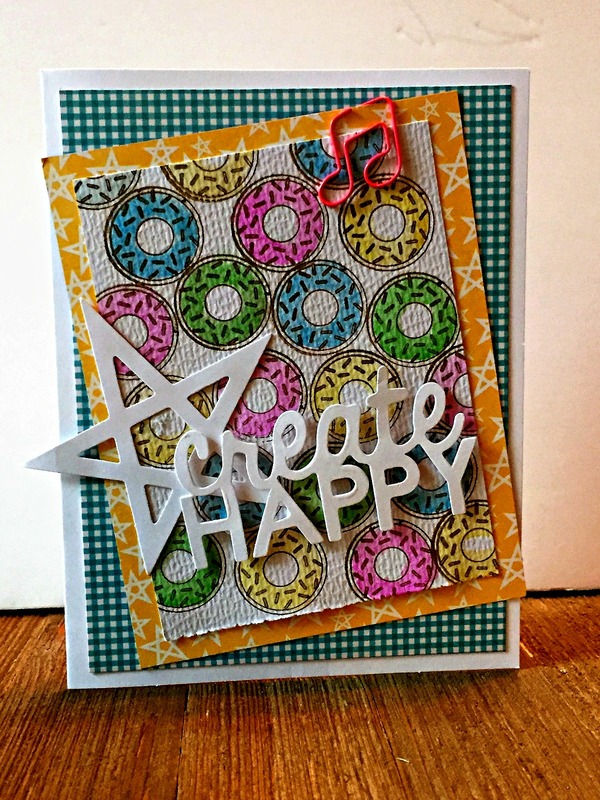 Now this card can create happiness for someone else, because who doesn’t love donuts? Have a great week! 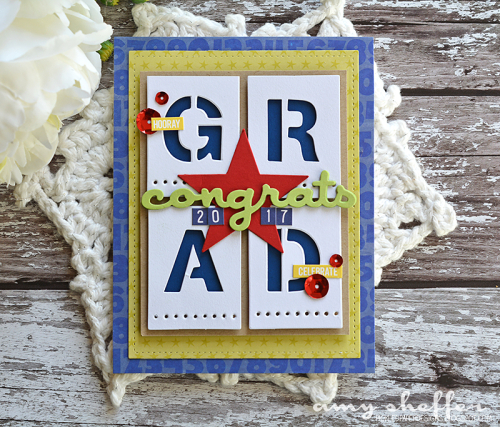 Are you in need of a gift card holder for a Graduation or Birthday? 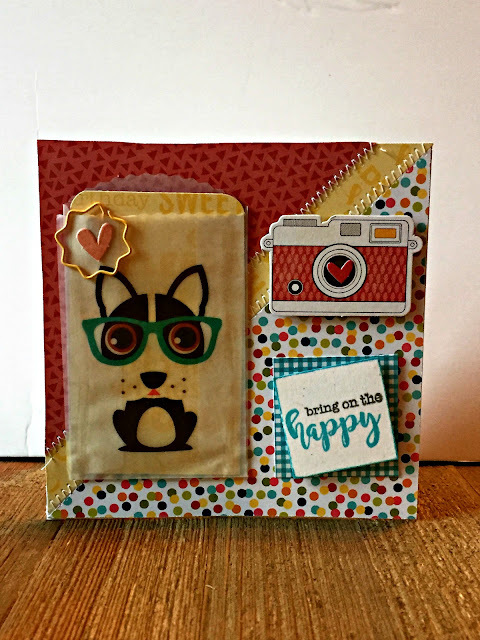 Here is an easy one made with scraps and a glassine bag and the Souper Celebration stamp set from Jillibean Soup. 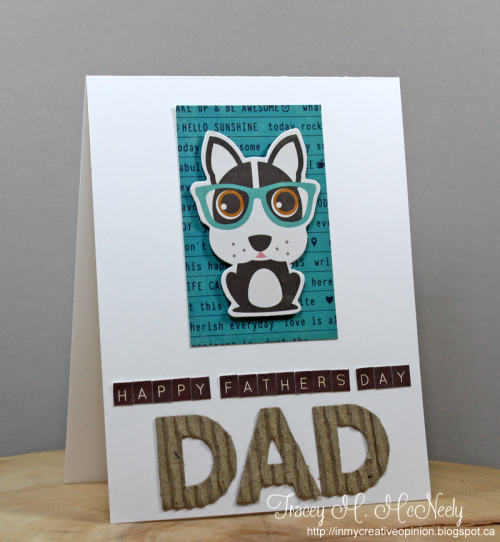 The base came together with two triangles and a border strip of three different patterned papers. Then I machine stitched the border strip in place for a little added texture. 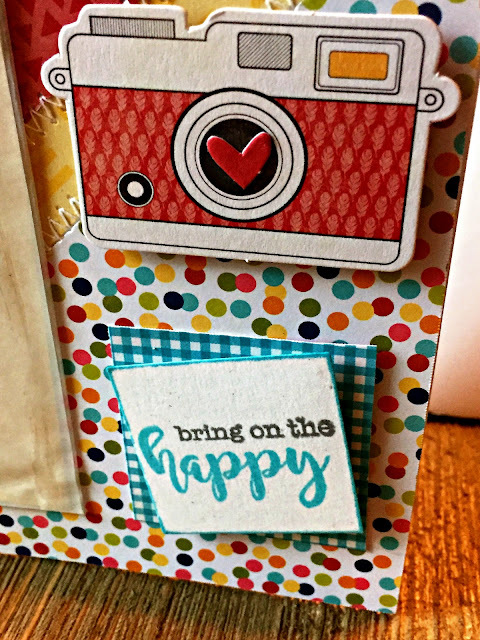 Next I stamped the sentiment with Souper Celebration stamps in blue and gray ink. Then I attached the glassine bag with the crazy cute pup on it with patterned paper slid down inside (only because I haven’t bought a gift card yet). Then I grabbed a Day2Day sunshine paperclip and two Bowl of Dreams die cuts and added as shown. I inked the edges of the sentiment square and attached it to the gingham paper mat. A fun way to share a gift for any happy occasion. The Souper Celebration stamp set is full of fun images including a llama and an alligator, and it has lots of sentiments. Check it out when you get a chance. Other: kraft, navy, and red cardstock, Congrats die. 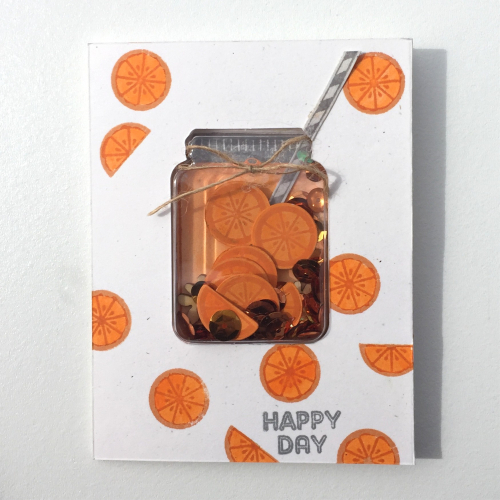 Time for some more goodies from Jillibean Soup's Healthy Hello Soup collection! 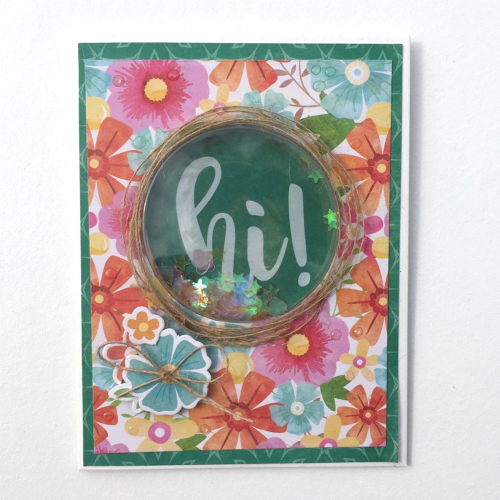 Make a 4.25” x 5.5” base from marigold cardstock. 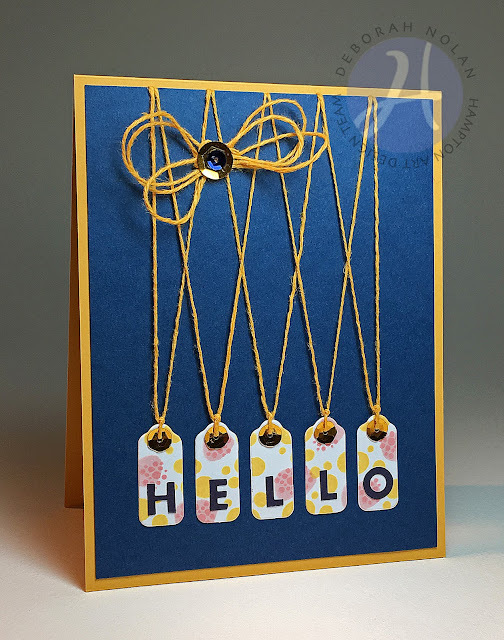 Temporarily adhere jewelry tags side-to- side on scrap paper and stamp; apply alphabet stickers. Adhere sequins to tags, thread, and tie at top. Cut 4” x 5.25” panel of blue cardstock; center and adhere tags. Mark top of panel to align with five tag centers and notch each mark with hole punch. Starting with center tag, wrap it's left thread at the notch to its left and the right thread to the notch to its right; secure to panel back with tape. Repeat with remaining tags. Outer threads for "H" and "O" will go straight up. Tie cord into three-looped bow and attach with glue dot. 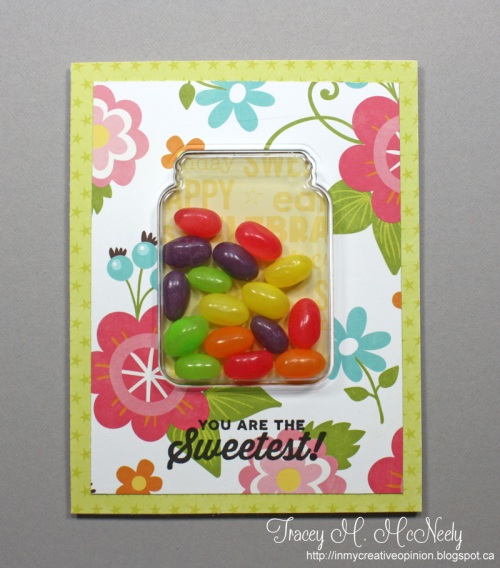 Make a 4.25” x 5.5” base from coral cardstock and round bottom corners. 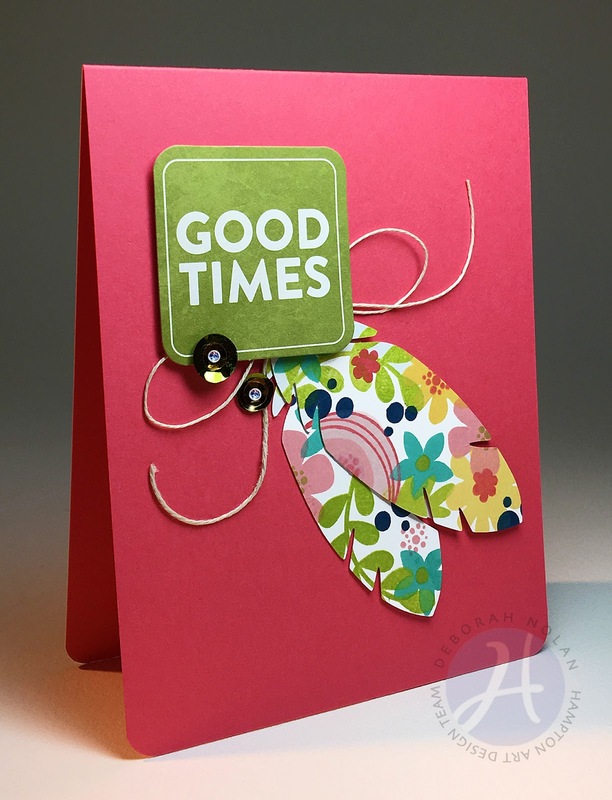 Stamp feathers and adhere to card front. Tie cord in bow and attach. 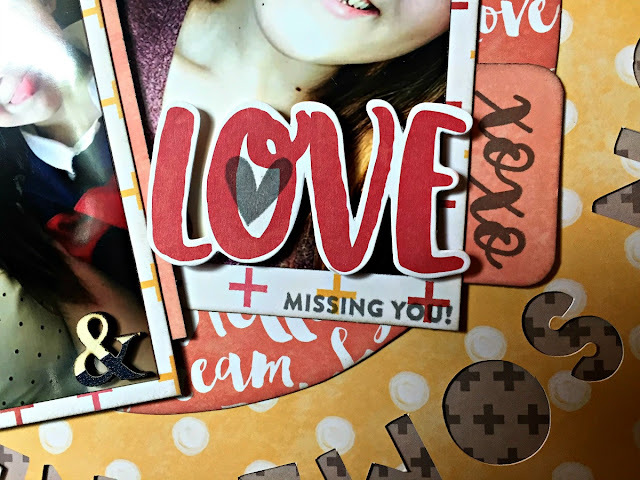 Mount sentiment panel with foam dimensional tape. 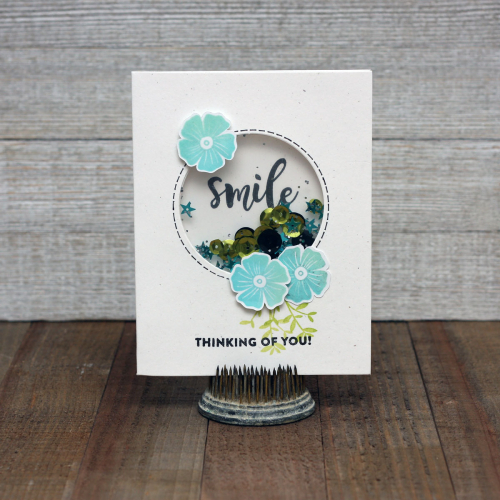 Make a 4.25” x 5.5” base from ivory cardstock. Stamp images on card front. Make a 4.25” x 5.5” base from pink cardstock. 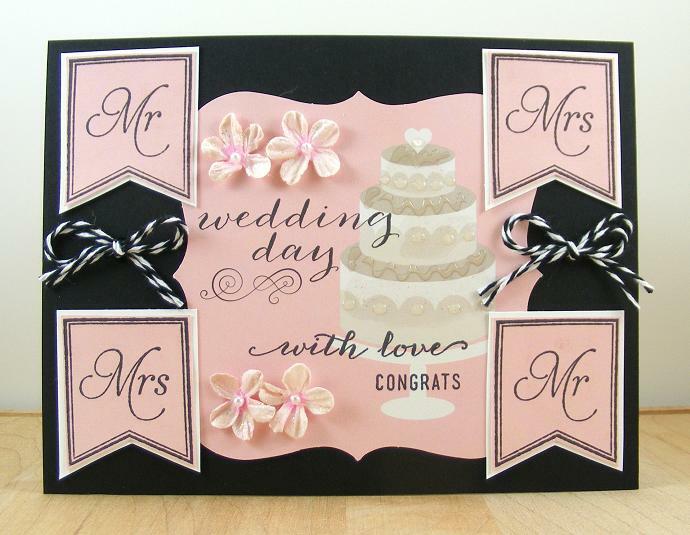 Cut ivory cardstock panel and adhere to card front. 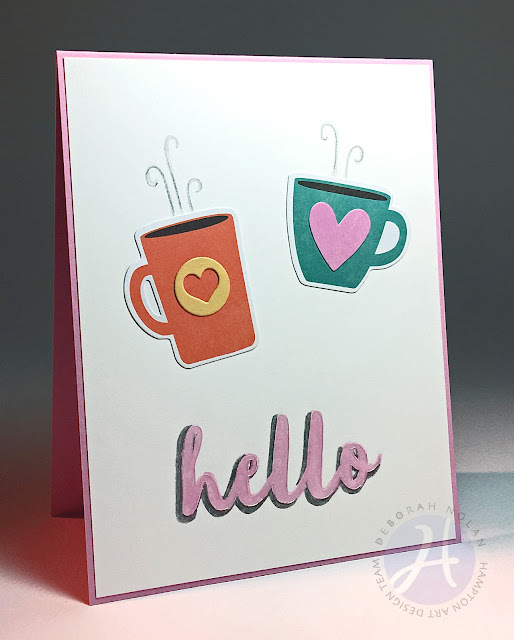 Die cut heart and adhere to mug. Draw lines of steam from mugs with grey pencil. Trace outline of clear Artistic Shapes sentiment on panel; color with pink pencil. Outline left and bottom strokes of sentiment with grey pencil. Other: Ink Memento Lux, black pen, and a page protector (used to make a flat shaker card). Other: Gray ink pad, Tombow markers, orange ink pad.